Decided to style my hair with a side plait and the fringe. 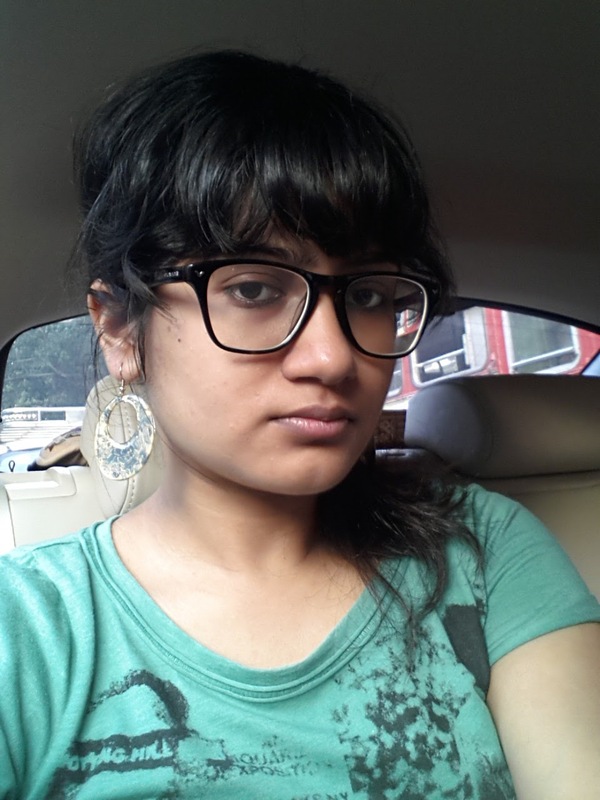 Big earrings, kohl lined eyes and my nerdy glasses complete the look. Picked these up during a recent shopping trip. Can't stop wearing them everywhere I go. 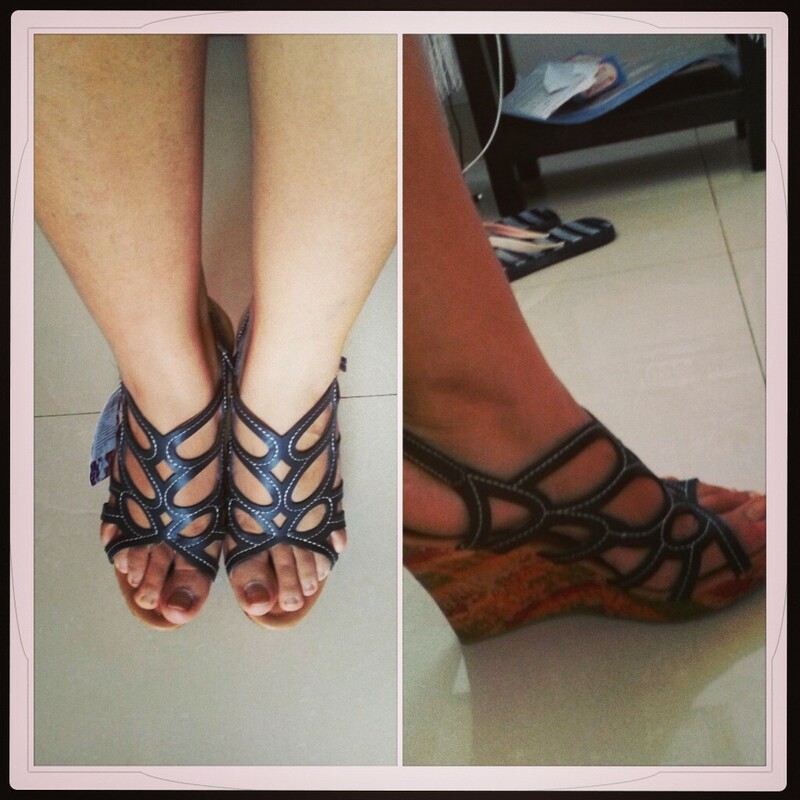 Other than the fact that they are pretty, they are also super comfortable. Looking forward to wearing them again very soon. Recently got a haircut. Love it a lot! I have been wanting to experiment with my hair for a long time and summer gave me the perfect opportunity. Though a tad bit difficult to maintain., the fringe especially, I still adore it. As I mentioned in my previous post, I was visiting New Zealand and Australia. 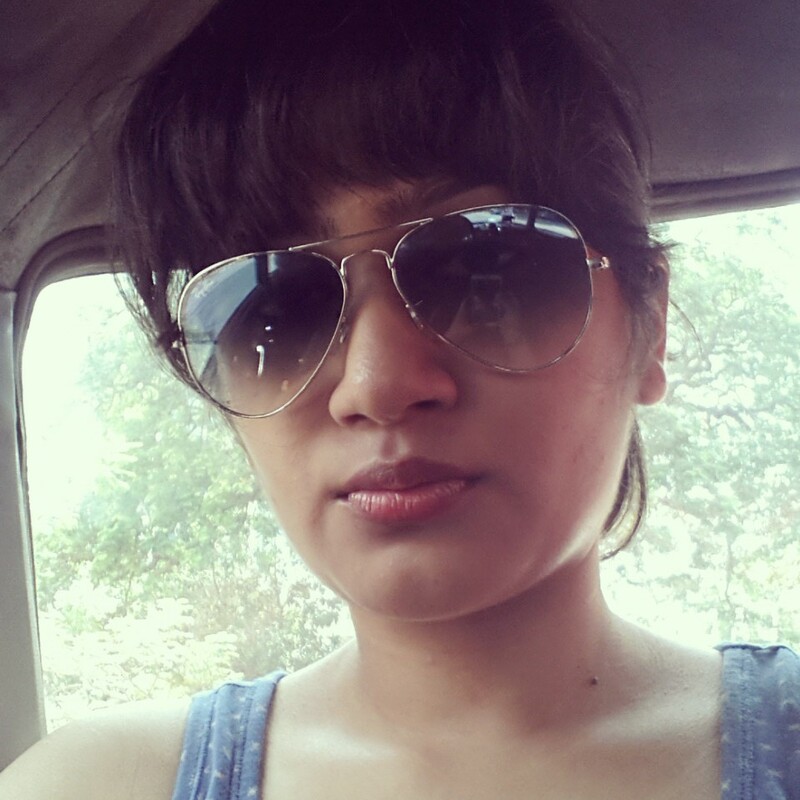 And with travel comes shopping. 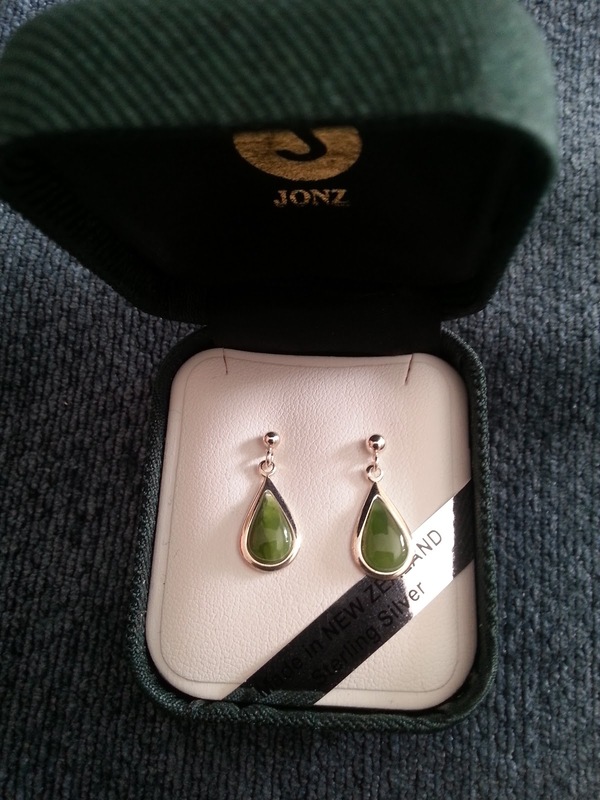 So, I picked up these jade earrings and a black pearl pendant from New Zealand. 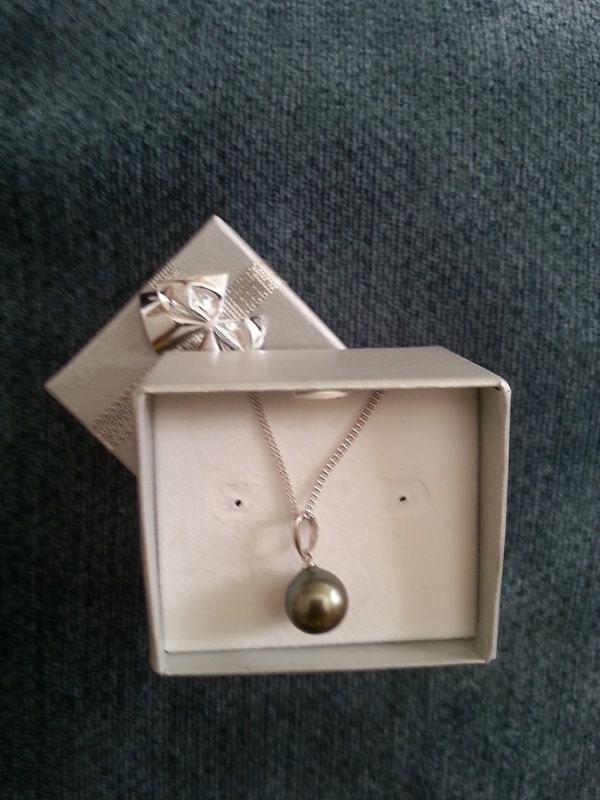 The black pearl pendant is one of my favorites from all the shopping I did. For all of those planning to visit New Zealand, I would recommend picking up black pearl, jade, blue pearl and paua shell jewellery. They look amazing and you know you would be taking a bit of New Zealand back with you. So, I recently travelled to Australia and New Zealand. Hence the lapse in posting. Anyway, now that I am back, here is one of my travel wears. 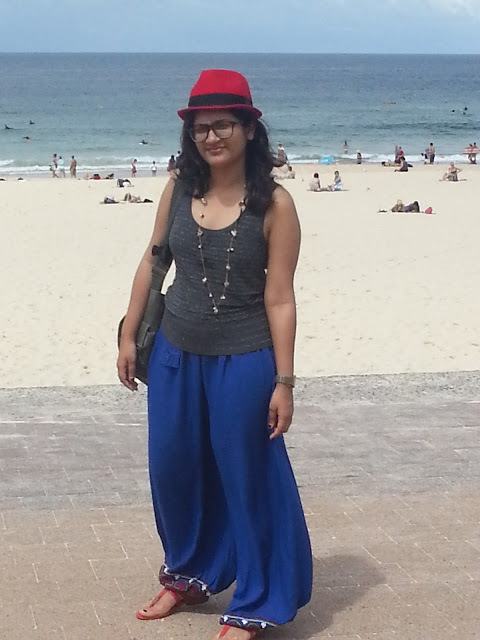 The blue embroidered harem pants combined with the grey top from Mango, the necklace from Accesorize, the red hat I picked up at Covent Garden in London and shoes I picked up at Sydney is perfect for visiting Bondi beach.